Proudly serving numerous plan sponsors and over 11,000 plan participants. 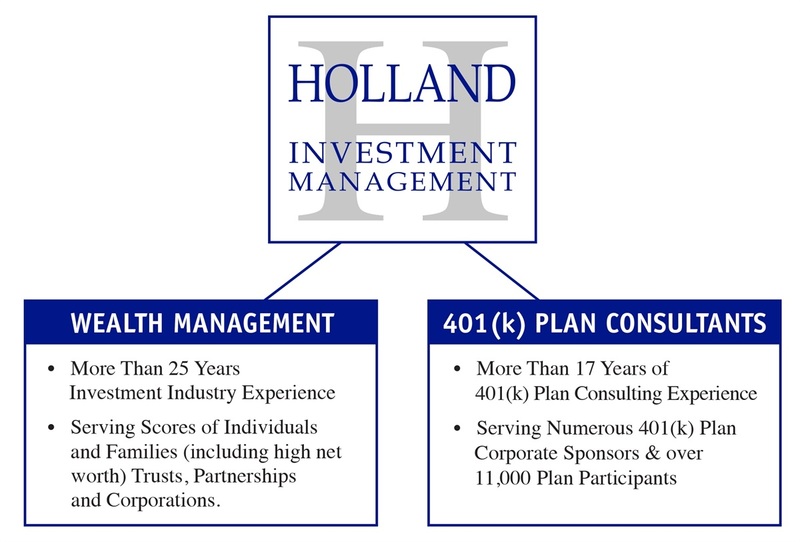 Holland Investment Management, Inc. (HIM) has been a Group Retirement Plan expert for over 17 years serving numerous corporate plan sponsors and over 11,000 participants. HIM serves as the consultant on plans ranging from a Local Law Firm with 15 participants to a Nationwide Health Care Company with over 6,000 participants across the country. Assisting with the establishment of employer sponsored participant directed plans. Assisting with the establishment of an Investment Policy Statement. corporate goals of your own choosing. Reducing fiduciary risk to the Plan Sponsor (Corporation) as well as the trustees of the plan and members of the 401(k) Plan Committee. We monitor legal, legislative, regulatory trends and developments for you. 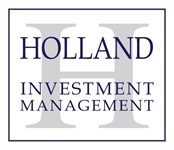 Recommendation and on-going monitoring of the very best available independent 3(21) or 3(38) Investment Advisor which will screen, select and monitor investment choices for the plan. Providing customized educational support for the plan participants that can be delivered to clients in the comfort of their home on their own schedule. Providing education on the plan, its fund choices and other tools to help participants navigate the increasingly complex financial and tax environment. Organizing and leading all plan meetings and solving any and all problems associated with the plan.